Kicking off with an incendiary ‘Love in an Elevator,’ this fantabulous five-piece rocked the ‘Pot like there was no tomorrow. A sense-numbing double-header of ‘Song and Dance’ and my personal favourite ‘Mama Kin’ kept up the momentum as the crowd roared their approval of these Aerosmith avatars. Marco Lombardo on drums, George Stergiou (guitar) and all in black bassist, rock chick Terri Demarco were the rock on which the Toxic twosome strutted their snake-hipped stuff. Frank Pagni as riff-ripping legendary axe-man Joe Perry shimmied and smouldered around the stage, effortlessly firing off classic licks all night. 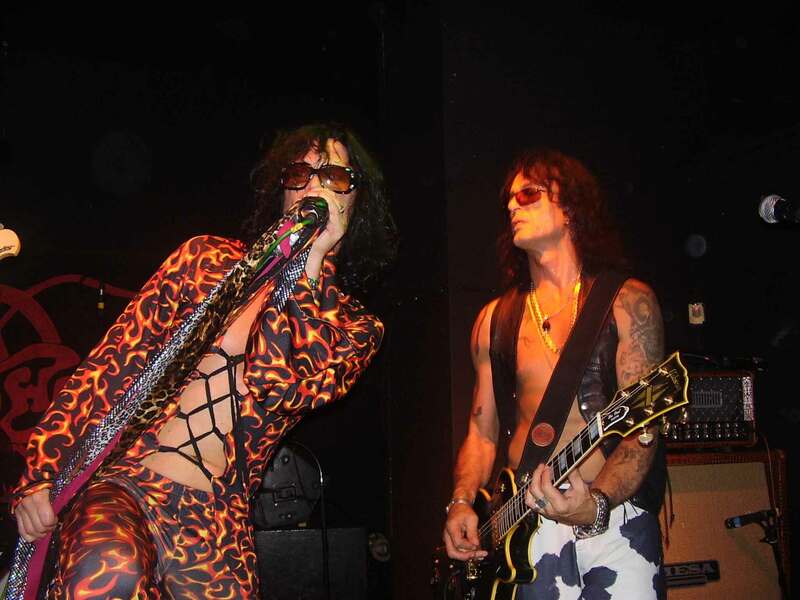 But ringmaster of The Toxic Twins’ circus was the gyrating, gymnastic, seemingly triple-jointed, microphone-stand mounting, Los Angeles-based Jay Basinger as arguably the world’s best frontman Steven ‘the Lips’ Tyler. Jay wasn’t just playing Tyler. He was Tyler. The looks, the moves, the dangerously tight catsuit were all there in a scintillating, six-star performance. One hundred minutes of sweaty, raunchy rock ‘n’ roll of the highest calibre. T.T.T.? Make that T.T.P., that is to say - The Total Package.